EDGERTON, Alberta – Cole Young (Fairview, Alberta) won the first PBR (Professional Bull Riders) event of his career Friday night, delivering a perfect performance to claim the buckle at the Touring Pro Division’s (TPD) Edgerton PBR Bullarama. Young began the night strong, finishing tied for second in Round 1 after riding Heaven Sent (Thompson Rodeo) for 84 points. The 25-year-old then rode Minion Stuart (Skori Bucking Bulls) for 88.5 points in the short go, winning both the round and the event. For the win, Young earned $3,859.21, 60 world points, and 320 points towards the Canadian National Standings, where he is now ranked No.11, trailing No.1 Jordan Hansen (Okotoks, Alberta) by 800.83 points. The win comes just the day after Young was the highest finishing Canadian at the Bullbustin' in Support of the Sheldon Kennedy Child Advocacy Centre, where he finished seventh. Edgar Durazo (Moctezuma, Sonora, Mexico) finished second, as the only other rider to go 2-for-2. After winning Round 1 with an 84.5-point trip aboard Snap Backs (Skori Bucking Bulls), Durazo logged a matching score in the championship round aboard Big Bear Energy's Gretzky (Outlaw Buckers). The 25-year-old earned $3,265.50 and 30 world points for the finish. Durazo, one of several riders double entered at the event, also finished tied for fifth after his 83.5-point ride aboard Wild Child (Girletz Rodeo Stock) in Round 1, earning him an additional $377.82 and 7.5 world points. Tied for third was Cody Casper (Pacific, Washington) and Lachlan Richardson (Gresford, NSW, Australia). Both riders delivered 84-point rides in Round 1, Casper aboard Jawbreaker (Skori Bucking Bulls) and Richardson on Memphis (Outlaw Buckers). Each rider takes home $1,268.41 and 17.5 points towards the world standings. Fraser Babbington (Gisbourne, NZ, New Zealand) rounded out the Top 5, tied with Durazo. Babbington rode Big Fudge (Girletz Rodeo Stock) in Round 1, earning $377.82 and 7.5 world points for his overall finish. 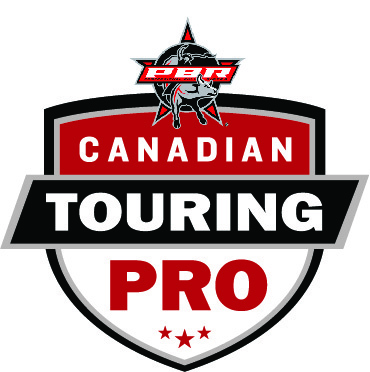 PBR Canada’s Touring Pro Division now travels to Kinsella, Alberta for the Kinsella Gravel Dome Bull-A-Rama on Wednesday, July 12. Action at the Kinsella Sports Grounds gets underway at 7:00pm MST. Official results from the Edgerton PBR Bullarama on July 7, 2017. Round 1: 1. Edgar Durazo, 84.5 points, $647.70; 2 (tie). Cole Young, Cody Casper and Lachlan Richardson, 84 points, $323.85; 5. (tie). Fraser Babbington and Edgar Durazo, 83.5 points; 7. Travis Warburton, 83 points; 8. Hector Cardona, 82.5 points; 9. Thor Hoefer II (2), 81.5 points; no other qualified rides. Championship Round: 1. Cole Young, 88.5 points, $890.58; 2. Edgar Durazo, 84.5 points, $726.67; no other qualified rides. Overall: 1. Cole Young – Fairview, Alberta - 172.5 points, $3859.21; 2. Edgar Durazo – Moctezuma, Sonora, Mexico -169 points, $3265.50; 3. (tie). Cody Casper – Pacific, Washington - Lachlan Richardson – Gresford, NSW, Australia - 84 points, $1268.41; 5. (tie) Fraser Babbington – Gisborne, NZ, New Zealand - Edgar Durazo – Moctezuma, Sonora, Mexico - 83.5 points, $377.82; 7. Travis Warburton – Granum, Alberta - 83 points, $226.70; 8. Hector Cardona - Saltillo, Coahuila, Mexico 82.5 points, $151.13; 9. Thor Hoefer II (2) – Priest River, Idaho - 81.5 points.